Curious Broadcast is a production company. We work with people to exchange knowledge and ideas through audio and video productions. 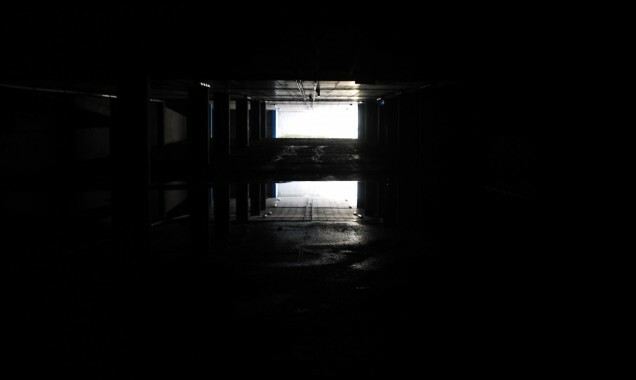 Abandon Reason is an archive of recordings made in the highly reverberant (and unlit) space of a disused underground car park in Galway, Ireland. The recordings are mostly musical improvisations utilising a wide variety of instruments and voices, and very often objects (as well as the walls and fixtures) found in the car park itself. Episode 1 features Aaron Coyne, Declan Kelly, Brigid Power Ryce, Vicky Langan, David Colohan, Gavin Prior and Alice McDowell. We are curious for yours ! In case there’s confusion over the blog address – it’s http://www.reasonabandon.blogspot.com. The link in the blurb above will bring you to abadonreason.blogspot.com, which someone else had already claimed (it’s a private blog). Sorry about that, my mistake! Hey Declan I just corrected that link. It should resolve at the correct address now.